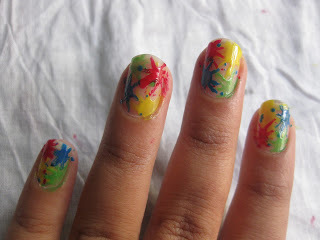 Water Marble Nail art, beginners guide! Water Marbling is a new type of nail technique which requires patience..If you are willing to give some time on your nail art, this is for you..It’s not necessary to choose the products I’ve used..instead you can use any polish that you like..
Make sure that your polish is of good quality or atleast new..an older polish may not produce proper water marbling! 1. Any two nail paints of your choice (I used Revlon’s ruby ribbon and Revlon’s silver screen). 2. A small plastic cup. 3. Paint brush, pencil or any other pointed tool. 5. Cello tape and scissors . 6. Nailpolish remover and cotton Q-tips. 1. The cup you use should be small, larger cups cause the nail polish to dry out quickly. 2. The water should be at room temperature and filtered. 3. Don’t sit directly under a fan or any windy place.. it’ll cause the nail polish to dry out. 4. Cover the sides of your nails with the tape. 6. Apply a white base coat on all nails. Step 1: Fill the cup with filtered water and place in front of you. Step 3: Now take the Silver screen nail-paint and place a drop at the centre of the cup. Step 4: Take the pointed end of a paint brush or toothpick (or in my case pencil) & very gently drag your tool through the polish to make your design. Step 5: Now drop your nail into the cup at an angle and hold for a second (as shown in picture). 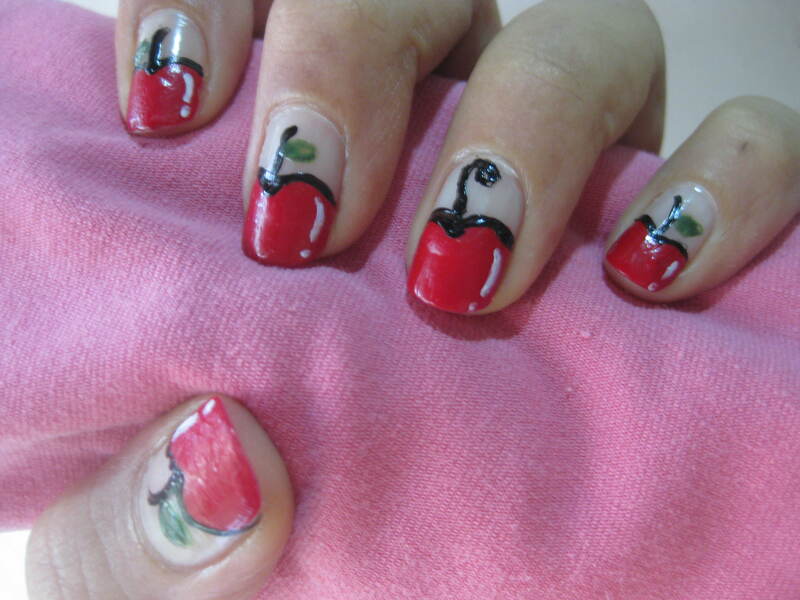 The polish will stick to your nails along with the desired design. While your nail is dipped in the cup, use your brush and clear off the excess paint from around your finger. 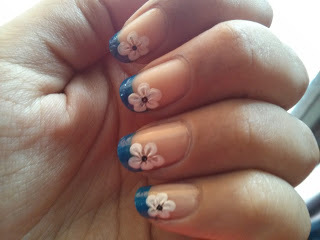 Step 6: Remove the tape and clean the unwanted polish using a Q-tip dipped in nail polishremover. 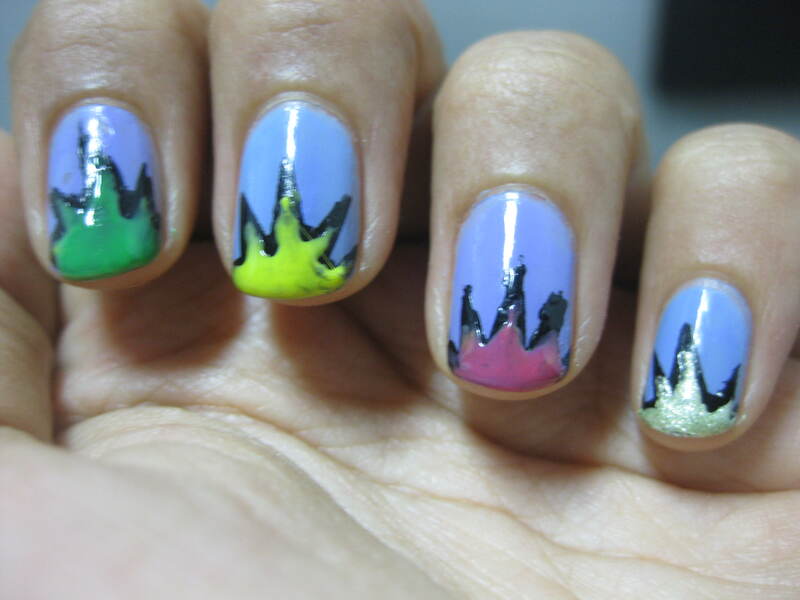 Step 7: Apply a top coat so that your nail polish would not chip off. « Womens day Best deals compilation.